Check out the latest Citrus Lane Coupon on My Subscription Addiction! Citrus Lane 30% Off Coupon & Free Zoli on the Go! 2 Days Only – Free Mystery Box + 30% Off Citrus Lane! 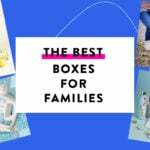 Free Melissa & Doug Puppet Set + 40% Off Citrus Lane! Free Skip Hop Lunch Bag + 30% Off Citrus Lane! Free Grilling Toy + 20% Off First Month of Citrus Lane! Free Trick or Treat Bag + 40% Off Citrus Lane! 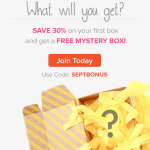 Today Only – Free Mystery Box + 30% Off Citrus Lane! Free Sushi Slicing Toy + 20% Off First Month of Citrus Lane!